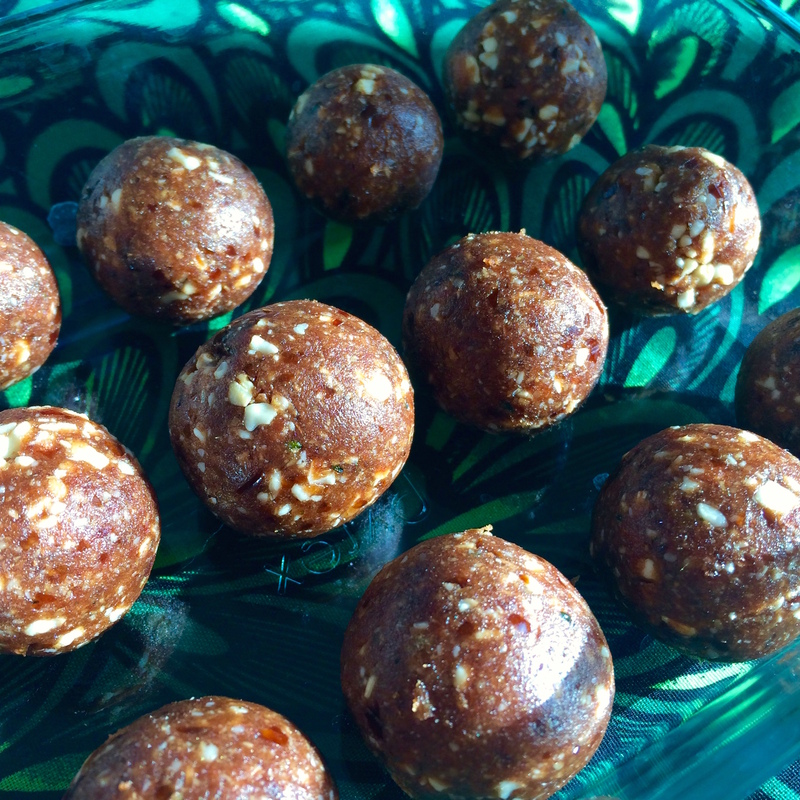 A serving of 5 date balls is approximately 260 calories, has 5.6 grams of dietary fiber, 5.5 grams of protein and close to 10% of the recommended daily intake of iron! Makes approximately 25 date balls. 1.) 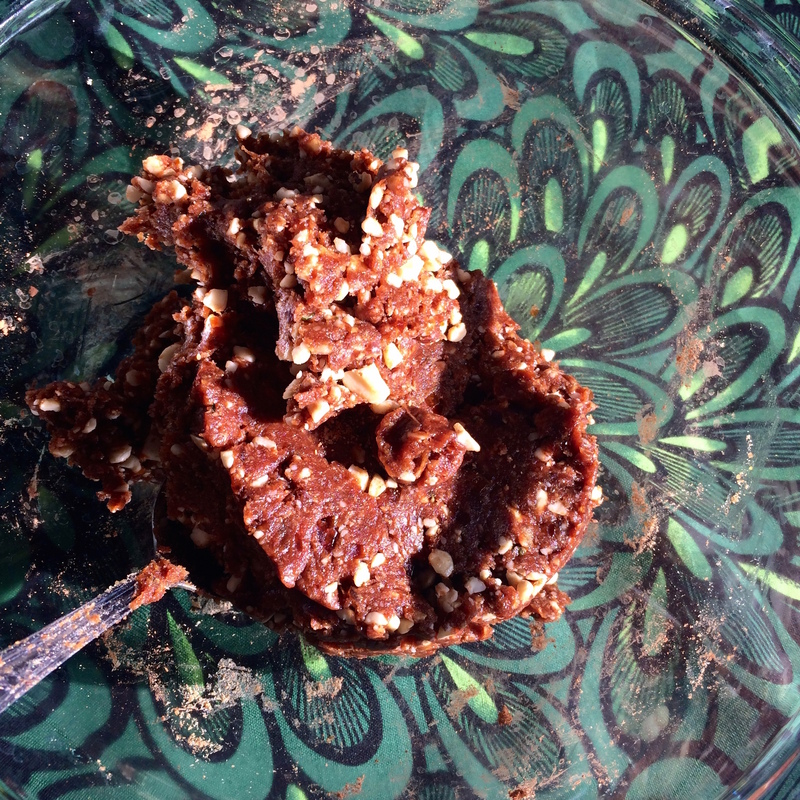 Slightly mix all of the ingredients, except coconut oil, in a bowl or place directly into a food processor. 2.) 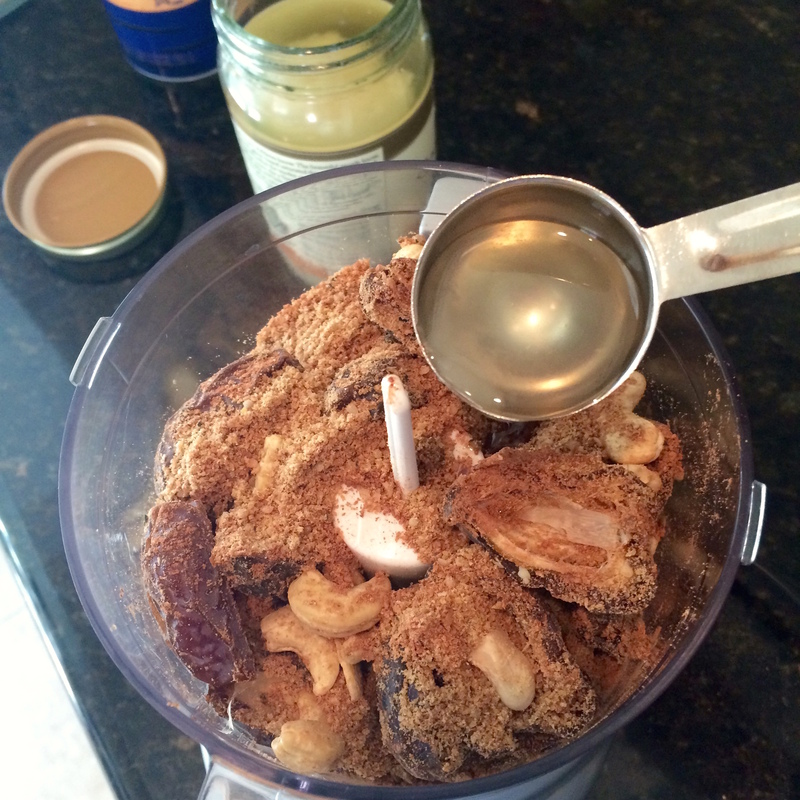 Add the melted coconut oil to the mix in the food processor. Process ingredients until they’re all a kind of paste. 3.) (You’ll get a little messy and sticky in this step!) With clean hands, pick a tablespoon-sized piece from the mixture and roll between your palms into a ball. Continue making balls from the mix until you’re all done! 4.) Place each ball into a container with a top (like a flat Tupperware), then put container in the fridge for at least 2 hours so they can set. 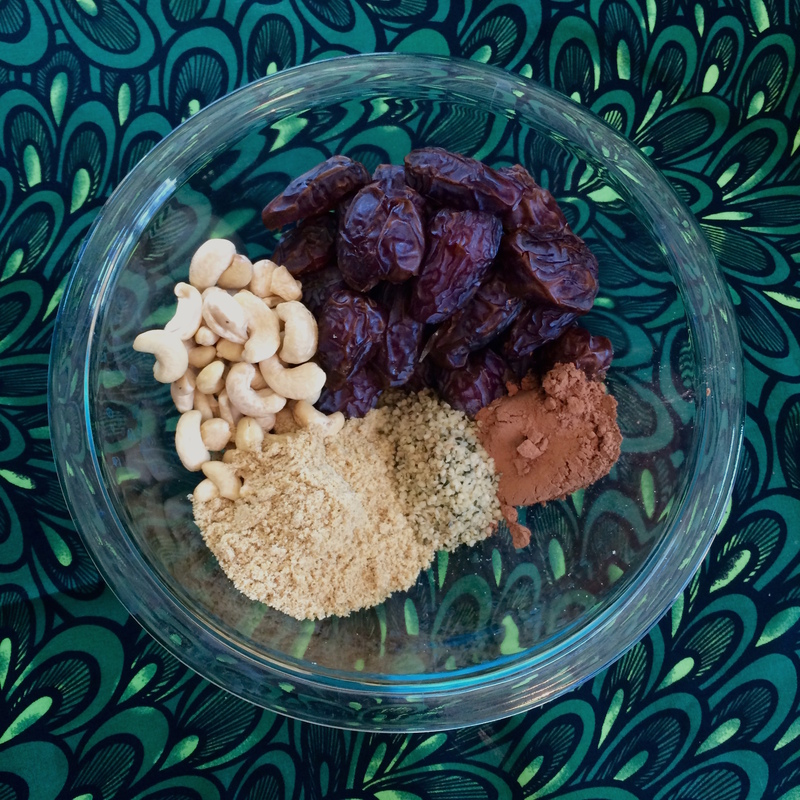 Slightly mix all of the ingredients, except coconut oil, in a bowl or place directly into a food processor. Add the melted coconut oil to the mix in the food processor. Process ingredients until they’re all a kind of paste. (You’ll get a little messy and sticky in this step!) With clean hands, pick a tablespoon-sized piece from the mixture and roll between your palms into a ball. Continue making balls from the mix until you’re all done! Place each ball into a container with a top (like a flat Tupperware), then put container in the fridge for at least 2 hours so they can set.